The ROTH IRA is a great way to save for retirement. A ROTH is a retirement account much like a traditional IRA. The contribution limits are the same, $6,000 a year for 2019, with investors over age 50 able to save an additional $1000. 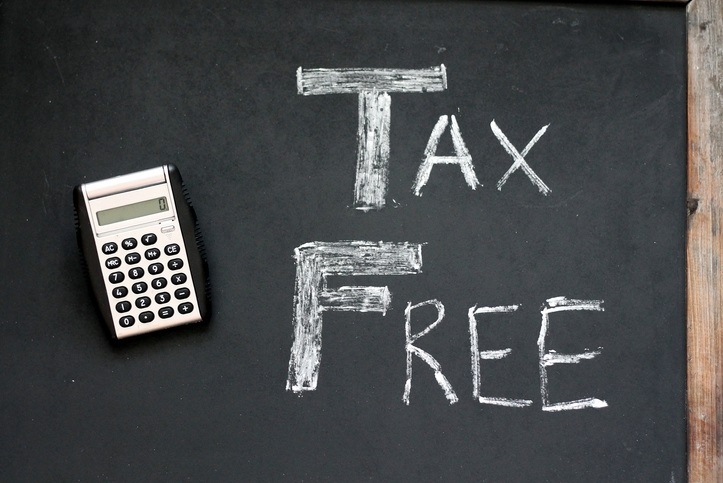 The fact that you can put money into the ROTH and have that money grow tax free is the same. But that is where the similarities end. The ROTH IRA differs from the traditional IRA in two very important respects. First the money you put in a ROTH IRA is not tax deductible, it is after tax money. The money you put in a traditional IRA is pre-tax money. Second, there are no required minimum distributions (RMD’s) for you when you reach age 70 ½ as there are with a traditional IRA. After that ROTH IRA’s can get really complicated fast. So don’t just jump in with both feet. Do the analysis. Although I recommend ROTH IRA’s a lot there are situations where a regular IRA works better. In the retirement priority hierarchy you should always fund a company retirement plan first to get any matching contributions they offer. After that you can consider ROTH IRA’s. Generally, if you think you are going to be in a higher tax bracket when you retire than you are right now you should fund a ROTH or a ROTH 401(k). If you are young the ROTH is usually the better choice but you also have to consider any tax reduction from pre-tax contributions or savers tax credit you might get for funding a 401(k) or traditional IRA. A couple of things investors should know about the ROTH. First, there is a penalty for taking any earnings out of a ROTH for five years or before age 59 ½. You can take the amount you contribute out anytime tax and penalty free but the earnings must stay for five years. That clock starts from the beginning of the year of your first contribution and it is not cumulative for each contribution. Once you get past the first five years you can take any earnings tax free although you will have to pay a 10% penalty before age 59 ½. Second, for the original owner and their spouse there is no RMD. But when it is passed on to anyone else there is a required minimum distribution even though the distribution amount is tax free. The IRS doesn’t want a ROTH IRA to become a way to pass wealth on to your descendants forever. Many company retirement plans now offer a ROTH 401(k) which for many people may be a better option. This option has just recently become a must have for company retirement plans. If your company doesn’t offer it request that they do. A ROTH is currently not available with SIMPLE or SEP IRA’s. A ROTH 401(k) has many different rules so make sure you understand them. Just like a regular ROTH IRA there is no way I can cover all the rules here. I am just skimming the surface of the rules and their different outcomes so consult your advisor. The advantages of a ROTH 401(k) are that you can contribute more, up to $19,000 and an additional $6,000 for those over age 50. The disadvantage is that distributions and rollovers get complicated if you contribute to a regular 401(k) to get your employer match and put the rest of you contributions into the ROTH 401(k). The big thing is that a ROTH 401(k) does not start the five year clock. So if you have a ROTH 401(k) make sure that if you don’t already have a regular ROTH IRA account that you open one now because if you change jobs or retire and rollover a ROTH 401(k) into a new regular ROTH you will have to wait five years. And if you leave assets in ROTH 401(k) until you are 70 ½ they are subject to required minimum distributions. If you leave and get a new job make sure you do things right. Regular contributions and ROTH contributions must be kept separated. If your new employer doesn’t offer a ROTH option then you can roll the ROTH portion into a ROTH IRA. There are income limits on who can make ROTH IRA contributions. For filing joint returns in2019, the ability to make ROTH IRA contributions starts phasing out at $193,000 and goes away completely above $203,000. But many times I will recommend that clients in this situation do a back-door ROTH. You can still do a regular IRA non-deductible contribution and then later convert it to a ROTH IRA. Although this may seem like a lot of work for nothing you are actually creating a pool of retirement money that will grow tax free and that you can tap anytime in retirement without paying taxes.